We love Dallas. The hot Texas weather is here and we created a list of things to do this summer, whether you are looking for an outdoor adventure or indoor activity. There is so much to do in Dallas but here are some of the highlights of everything you must do this summer. What is Top Golf? Top Golf is the perfect place to blend hanging out and competing with friends. At Top Golf you can enjoy a variety of golf games, food, and drinks. You don’t need your own golf clubs, so there is no excuse not to go! It is the perfect place to challenge your friends and have a great time. The park is located in the heart of the city in downtown Dallas. This green space is home to the imagination playground, food trucks, live music, book readings, yoga and meditation and other daily free activities. The 66-acre botanical garden is located in East Dallas with 19 named gardens. Besides the vibrant colors and summer seasonal plantings, the Arboretum hosts summer festivals and various family fun exhibits. Whether you are looking for a family-friendly adventure, a peaceful stroll in nature, or any private event, the Dallas Arboretum is the perfect place to go! The DMA offers free admission daily, so there is no excuse not to go this summer! The museum offers countless events and programs such as concerts, lectures, classes, films and more hosted everyday that is great for the whole family. Make sure to check your calendar and plan your visit today! Located in Deep Ellum, the Glazed Donut Works is the creator of extraordinary handcrafted donuts. These donuts are arguably the greatest Dallas has to offer. You have to try the Maple Bacon donut. Plus Glazed Donut Works is open late and makes for a great late night snack. If you are looking for a great patio to enjoy a nice afternoon, Truck Yard is your spot. This retro outdoor space offers great happy hours, live music, and a variety of the best food trucks in Dallas. This Dallas Museum is all about the life, death and legacy of JFK in Dealey Plaza. You can learn all about his assassination and the conspiracies theories. The Sixth Floor Museum is a must-see this summer! The American Airlines Center is home to all of Dallas’s sports and entertainment events. Whether you want to go see Drake live in concert or The Greatest Show on Earth, the AA center has it all. The Katy Trail is built on an old railroad line and has quickly become an iconic destination for the people of Dallas. It is a great place to visit on a nice Dallas day to enjoy the beauty and nature surrounding the trail. If you are looking to spend some time outdoors, the Katy Trail is perfect to visit! You can’t live in Dallas without visiting the huge and hectic NorthPark Mall. 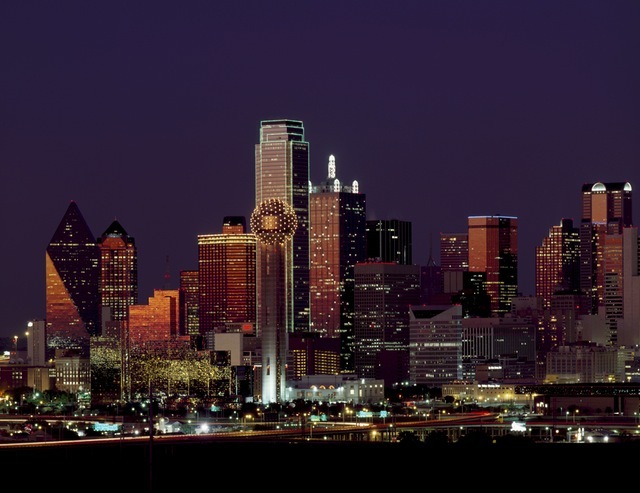 Dallas is home to some of the greatest shopping in the nation. Make NorthPark your first shopping stop this summer. The center has over 235 stores and restaurants, so there is something for everyone!